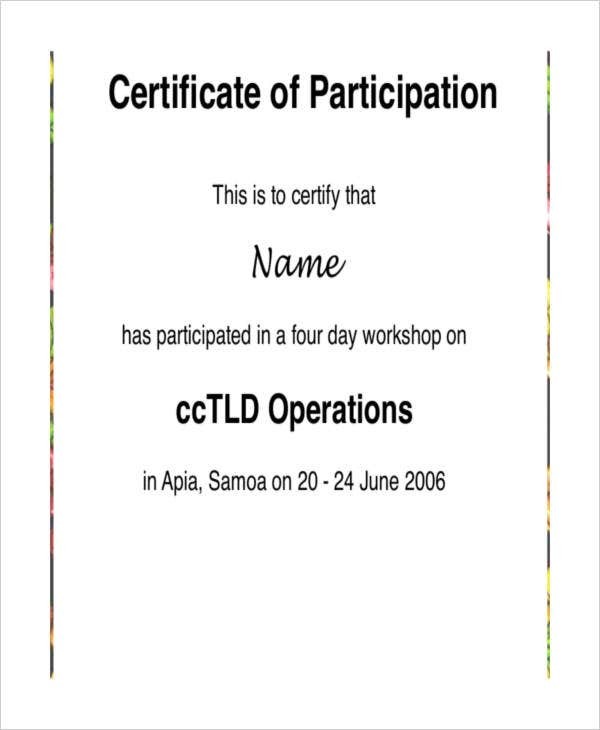 When you are conducting a workshop or a seminar, it is customary to award certificate designs to those who attended and completed the exercises. In these cases, it is not a matter of winners and losers, because these events are construed to help people progress. Every step toward a goal, if recognized, will help toward the end result all the more. 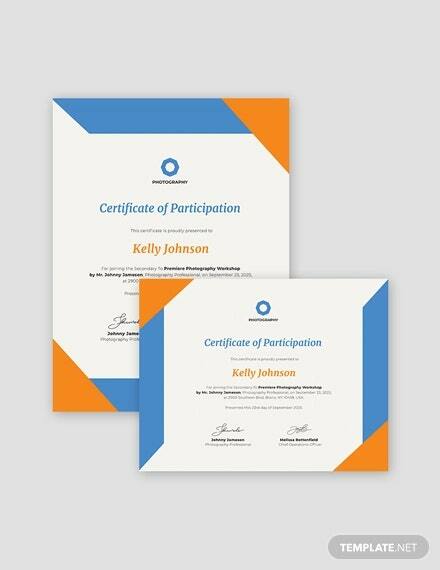 If you are running a volunteer program, a workshop, a seminar, a training or coaching session, these Certificate Templates will give you some ideas on how to prepare your participation certificates. 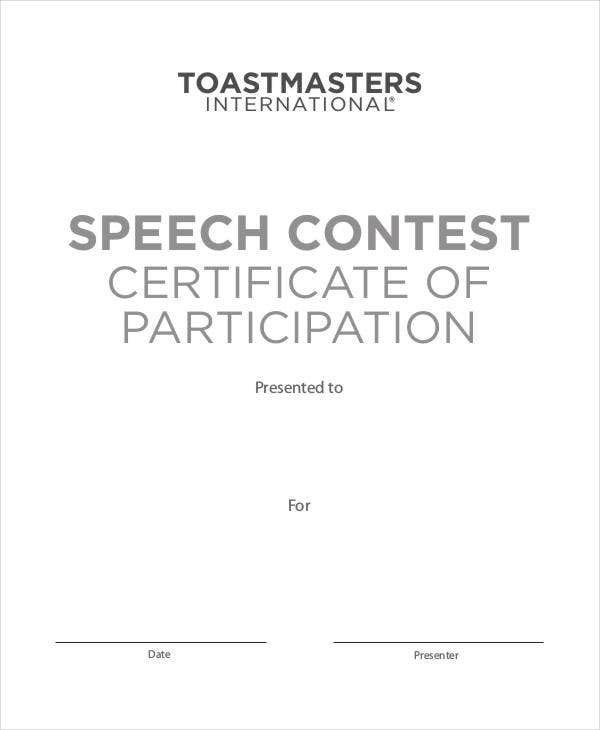 Even if you are hosting a competition with winners and losers, you may still want to recognize the efforts of everyone who showed up to participate. There will be options here for you as well. Take a look. 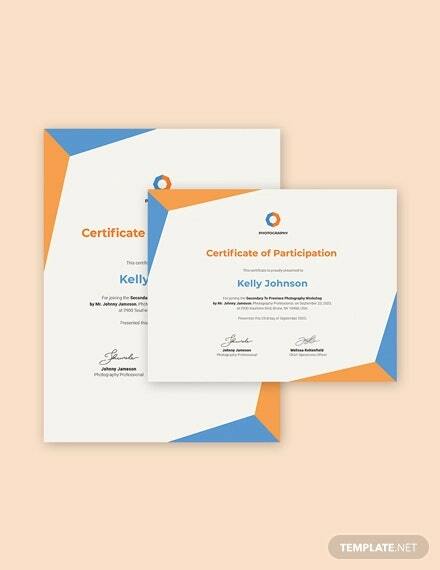 Participation certificates are like any certificate that seeks to recognize a particular effort or service. 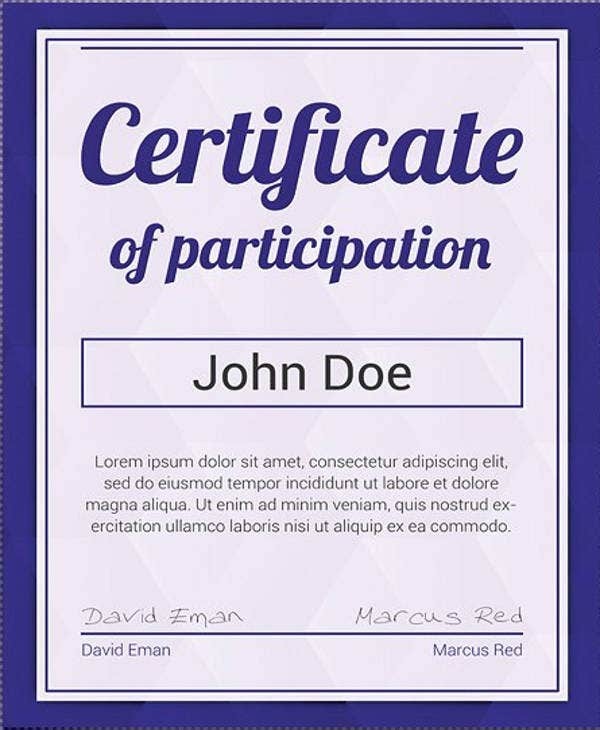 Certificates are also used as paper proof of the participation, which goes toward proof of some qualification, even if it is not a placing (i.e., winner) certificate. Aside from that, this is the kind of certificate you want to feel proud giving or receiving, so it has to be frame-worthy. If the event is particularly distinct, you might want a design that is fashioned particularly for this event—you can find a themed Music Certificate for recitals and a Basketball Certificate for matches, for example. 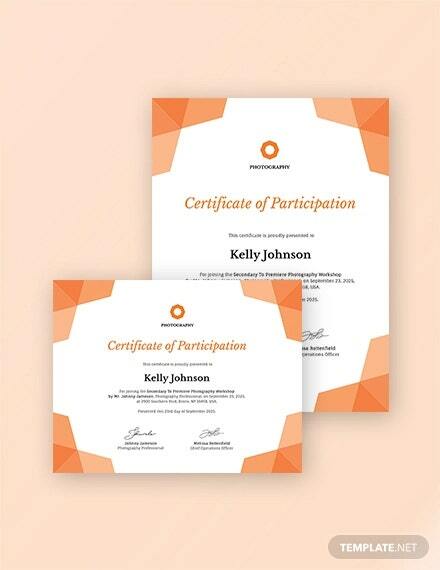 You will want to issue participation certificates for particular events where showing up and actually contributing to the success of the program is a noteworthy achievement on its own. 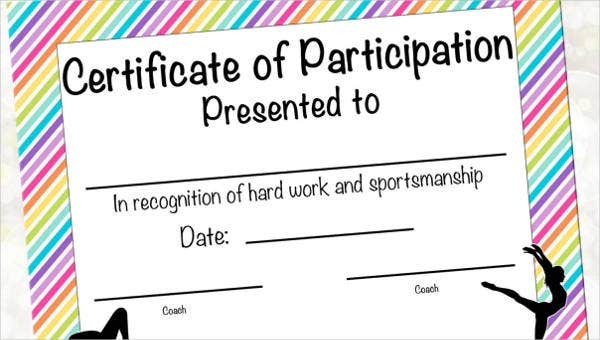 The participation certificate is famously looked down on as a pity gift, or a consolation prize for not placing, when awarded during competitions. But in fact, this can go toward recognizing effort in people with potential. 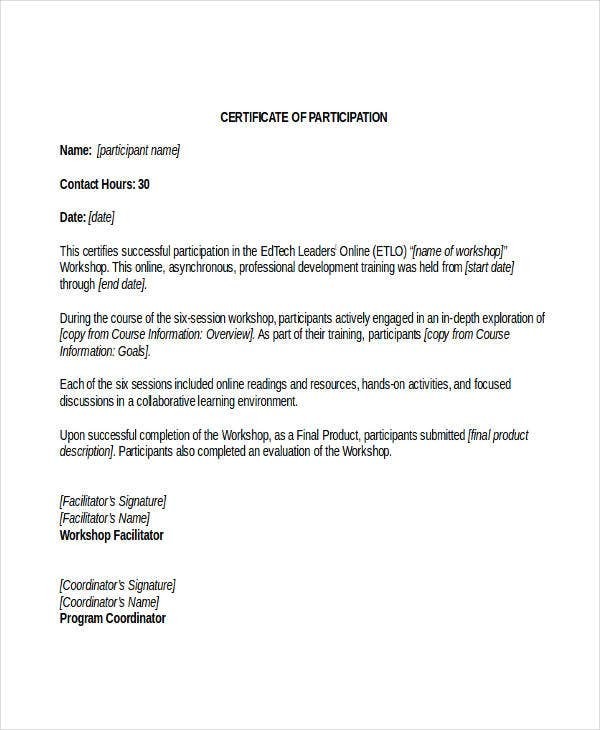 With this in mind, it would be a good idea to prepare a participation certificate for particularly egalitarian, participant-run programs where you cannot function or bring the event to success without the voluntary participation of these people. 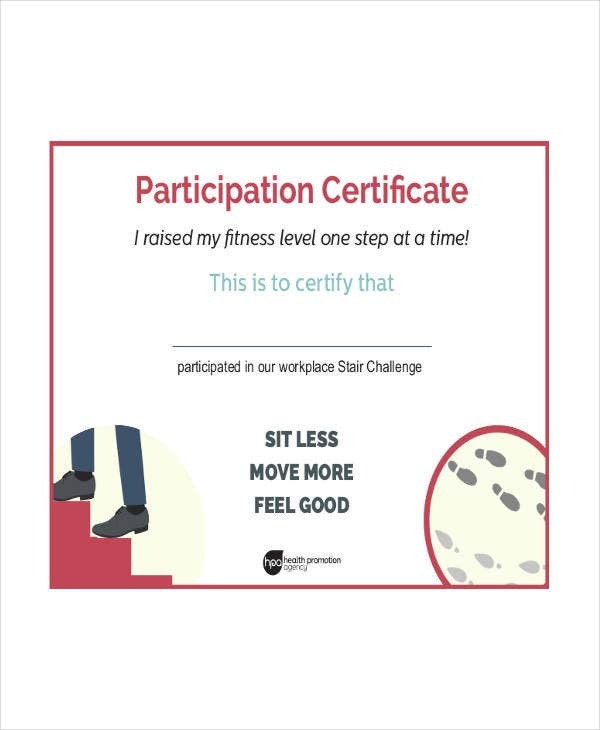 However, it might be best to not issue participation certificates if the amount of participants far outnumber the actual need for it, for example, attending a popular conference or lecture. A good rule of thumb is to ask whether it would functionally benefit the participants to show others that they have attended your event—e.g., a training workshop for management consultants. 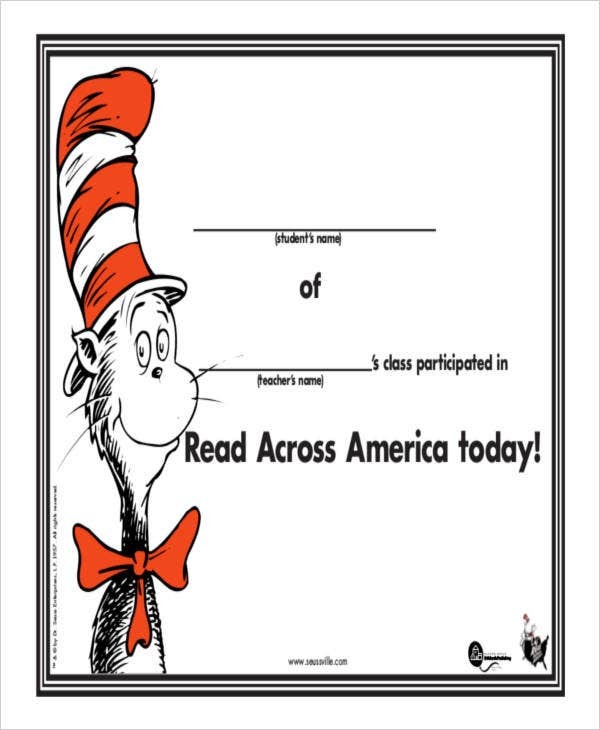 In this case, a participation certificate will be ideal. 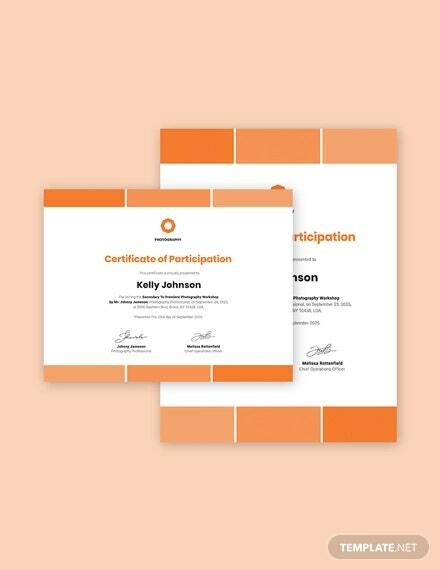 Certificates of participation may sound a bit too vague for you. If this is the case, we stock other specialized certificates for your events. 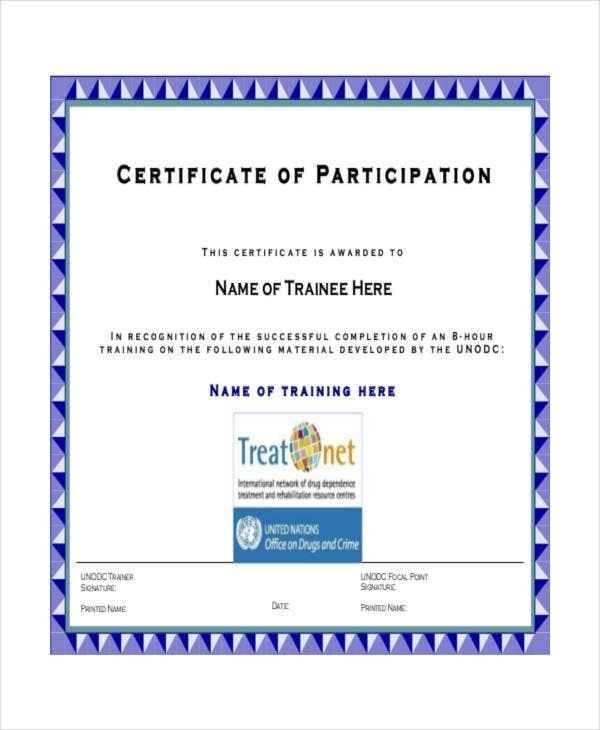 For training workshops, we have the Training Certificate as well as free, modifiable 14+ Participation Certificates aside from the ones above. 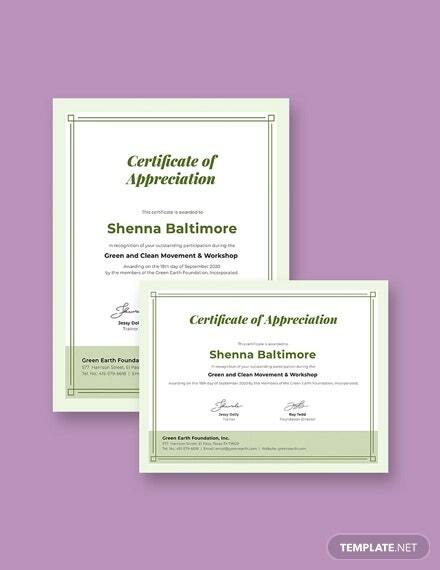 Don’t start handing out your certificates without checking out these ways to design them!